It happened sooner than I expected, but I actually got myself outside to paint! 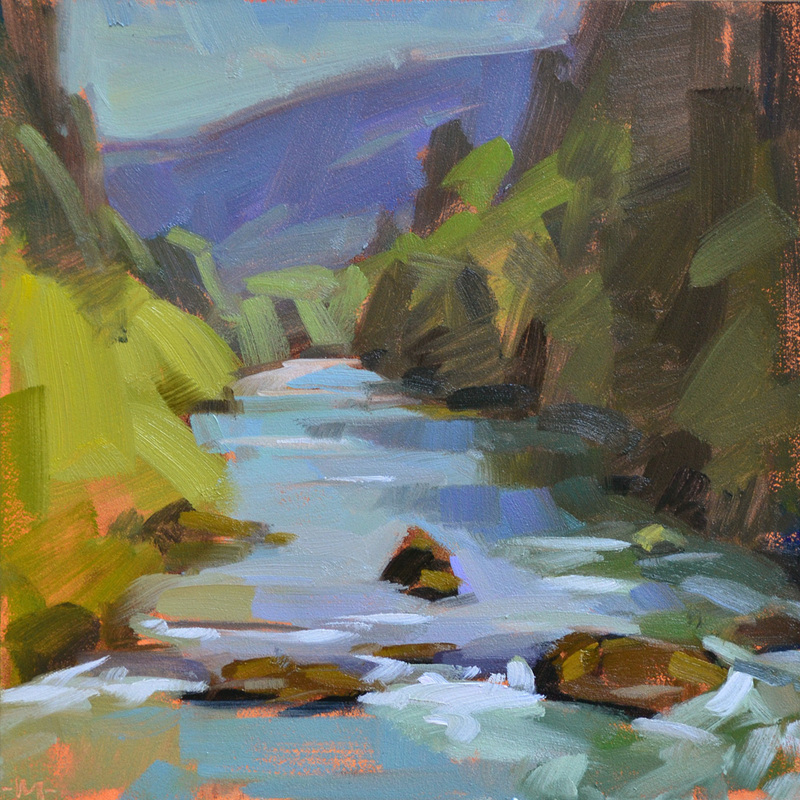 I went out today with friend/artist Patti McNutt, to Row River here in Oregon. It was exhilarating! So much so we're going out again tomorrow. But I got two in today, so I'll have another one to post very soon. Nice work Carol, you make it look easy. You got alot of trees in not many strokes- I really like that alot-especially the very back ones. looking forward to the other one too! Love this! I just started getting out to paint some too, so much fun when the weather is good. It is beautiful Carol! You did a great job of simplifying and keeping the colors fresh just like your still life paintings. 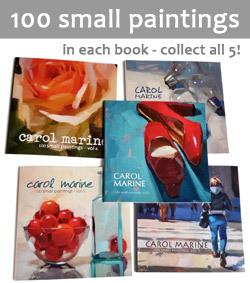 Approximately how much time do you spend on each of these paintings? They are beautifully loose and bold, but I'm just curious as to the time frame that they are created in. Beautiful painting, Carol :) I love the way you painted the flow of the river. When it stops raining here at last, I'll go out painting as well! the way you simplify makes my heart sing and that sublime violet gray you used for the 'receding' hillside sets the harmony for the whole painting. I love your answer to Rebecca, which pretty much sums up the A-Ha moment that comes after 20 years!